Specialist knowledge and industry experience combined to produce our leading brand in quality workwear. Exceptional design, cut, finish and tried and tested fabrics give superior comfort and resilient garments. Choose Gryzko®and put your people in the best you can, giving you peace of mind that they have the tools they need to perform at their true potential. 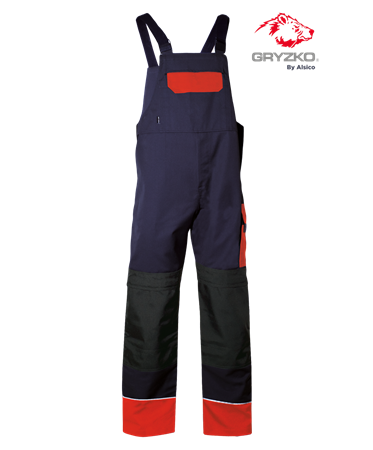 Gryzko is a leading range of workwear for a very good reason - its products always deliver a reliable combination of superior quality, design, cut, finish, durability, comfort and performance. If you want a guarantee of quality, look no further than this morale-boosting, premium-performing collection. If you value your workforce, Gryzko workwear is the perfect choice to offer them the materials and designs they want and need, to allow them to fulfil their true potential and deliver the productivity that any successful business relies upon. This range is a premium collection, featuring a wide array of different workwear items, from bib and braces and coveralls to jackets and coats, trousers and casuals. Whatever items you choose, you can be assured of the highest possible standards in terms of design and manufacture. This makes Gryzko workwear an unbeatable choice when you need tough workwear to keep your workforce protected and motivated, leaving them free to get the job done as quickly and efficiently as possible. You may be looking for water-resistant and windproof protection and, if so, look no further than this superior collection. The performance levels on offer are unrivalled, continuing to earn the range’s reputation as the workhorse of the workwear world, day after day. Whatever the weather, these items will never let you or your workers down. The range offers a vast choice of items to suit a huge selection of industries and sectors. Products are available in a full array of sizes and colours, include hi-viz styles made of durable, heavyweight materials and a range of comfort and practicality features. Whatever items you choose, you can be assured that practicality and performance will always combine with durability and comfort, to offer the long-lasting quality that you expect from what is undoubtedly one of the most sought-after, premium selections of garments in the workwear industry.